Eight weeks ago last Saturday, The Bootmeister, otherwise known as Christoph Schork, applied a set of EasyShoes to my tender-footed gelding, Topper, as part of a demonstration at the AERC National Championship ride. Immediately after the application of the EasyShoe, Topper became more comfortable. As the weeks carried over, he began moving better and better. About two weeks into the shoe cycle, we began our dressage training again, interspersed with trail riding and gallop sets. I haven't felt Topper move like this in a very long time and look forward to maintaining a full-time training schedule with The Top throughout the winter. Topper's public pedicure. Photo by Merri Melde. 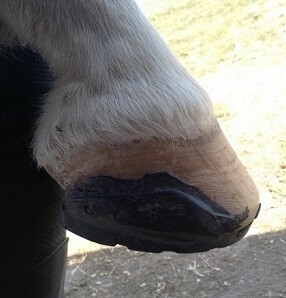 Christoph applied Topper's EasyShoes with glue on the fronts, and four nails on each hoof for the hinds. I'll admit, I was very skeptical of the glue holding for longer than a few weeks, but thought a few weeks of growth and protection would be better than nothing. Color me surprised when I looked at the calendar and realized a) it had been eight weeks, and b) I was going to have to work a little at getting these suckers pulled. I set my husband to work pulling the hinds last weekend, which came off easily with a set of clinch cutters and crease nail pullers. Topper's hind feet had a ton of growth and were easily trimmed. Because he's never had a problem being tender behind, I trimmed him normally and off we went. We have Easyboot Gloves for those hinds should we need 'em! Definitely in need of a trim. And, yes, those are pajamas. Doesn't everyone trim and do barn chores in their pajamas? Lightly trimmed after pulling shoes. Nail holes should be gone in a couple trims. No problem. The fronts were a different story. Although the cuff of the shoe had pulled away at the heels about two weeks into the cycle, it was stuck damn good everywhere else. I have to admit, I've been waiting for Topper to pull a shoe. 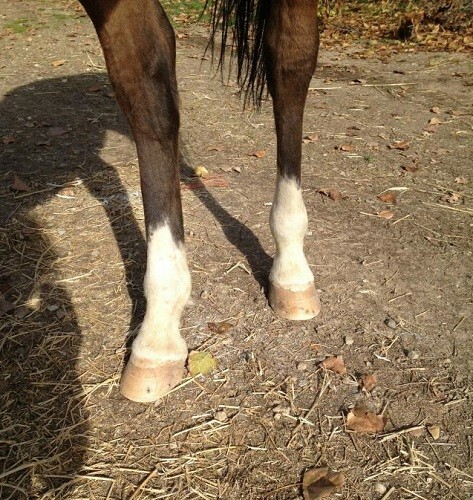 Having had barefoot/booted horses for the last eight years or so has somewhat colored my assumptions. I have my booting protocol down pretty well and rarely lose a boot. For some reason, I was SURE I would be losing a shoe. 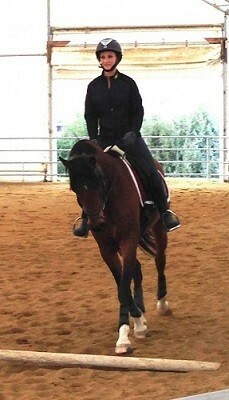 On my dressage horse. In the arena. At first I thought he would snag one during one of his shenanigans on a 10m circle or while bolting through a change of rein. 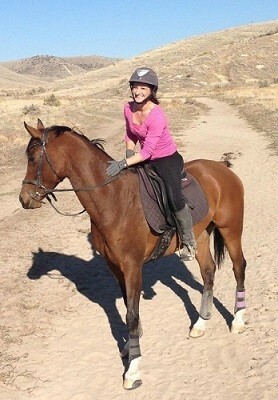 Then I thought surely he'd lose one on our trail rides when spooking at a deer or a mouse. 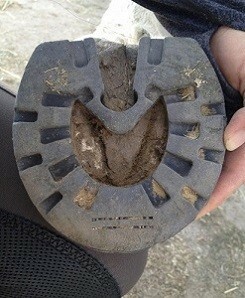 Finally, I thought there was no way we would get through any gallop (bucking) sets with both shoes still on. The joke was on me tonight, eight weeks later, when I finally decided they were not about to come off on their own and it was time for a trim! The pictures above show the EasyShoe just after application. spread at the heels – I don't think this is something a steel shoe will allow! 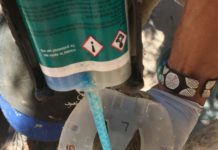 When Christoph demonstrated the application of the glue-on EasyShoes, he showed two different ways of gluing. 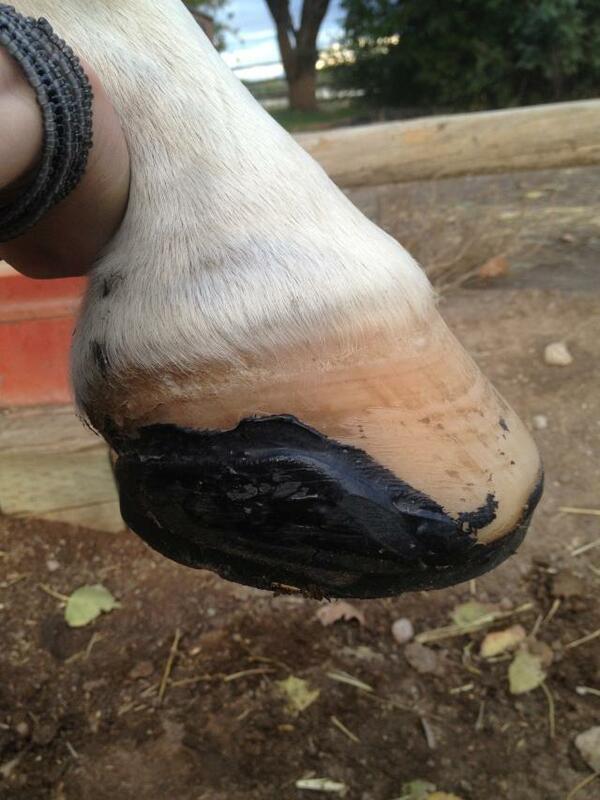 For the first hoof, he used denatured alcohol as part of the prep, and for the second, he utilized a heat gun. While I cannot for the life of me remember which foot was which, I can tell you the right did NOT want to come off. At all. 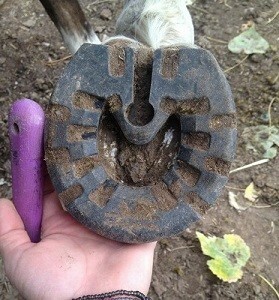 So I quickly ditched the hoof pick that I thought would help me pry off the shoe and grabbed my rasp and nippers. After a little rasping, a bit of nipping and some more prying, the shoes were removed. I decided to let him be for the night and will trim him tomorrow. 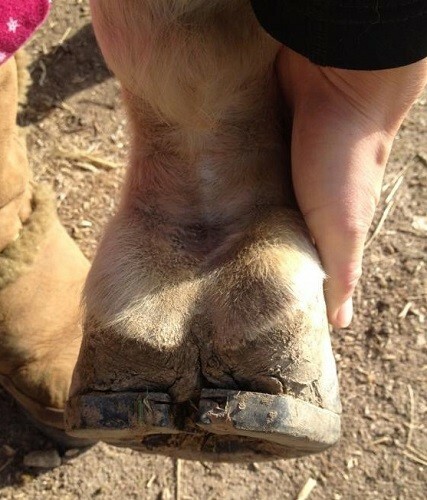 I'm still laughing at my thoughts of using a hoof pick to pry off the shoes. Much to my surprise, the Adhere held through eight weeks, an inch and a half of rain, wet mud, dry sand and plenty of Topper's contortionist moves. 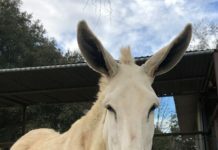 Most importantly, Topper is moving better than ever. After a couple weeks in his new shoes he started throwing his feet out and offering a truly heel-first landing at all gaits, on all footing. 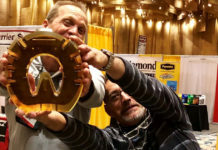 He has been happy to work. He hasn't been sore. I really can't ask for anything more. 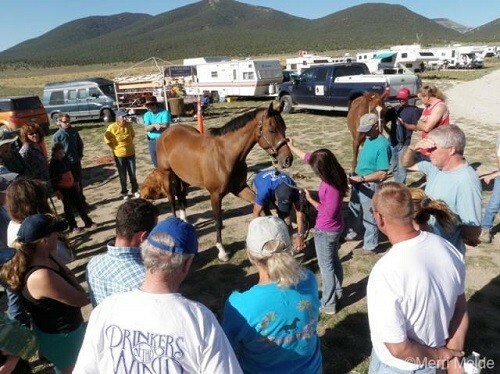 Thank you, EasyCare, for making this an option for the horses who need it. For all the judgmental individuals out there, judge away. I'm going to go enjoy my horse now. And when the farrier comes next week to apply another set of EasyShoes, I can rest happily knowing that if nailing on these shoes is the worst thing that ever happens to my horse, he's a lucky, lucky boy.